American rabbi; born at Lancaster, Pa., Nov. 20, 1859. His father was a native of Hesse-Darmstadt, where he served many years in the army, holding several minor military offices. After leaving the High School Israel, Aaron entered the Hebrew Union College at Cincinnati. 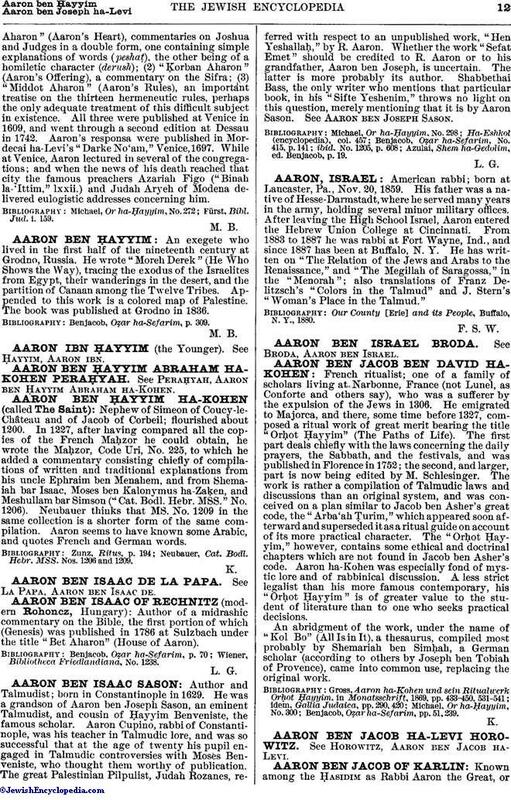 From 1883 to 1887 he was rabbi at Fort Wayne, Ind., and since 1887 has been at Buffalo, N. Y. He has written on "The Relation of the Jews and Arabs to the Renaissance," and "The Megillah of Saragossa," in the "Menorah"; also translations of Franz Delitzsch's "Colors in the Talmud" and J. Stern's "Woman's Place in the Talmud." Our County [Erie] and its People, Buffalo, N. Y., 1880.